Discussion in 'Dovetail Live Article Discussion' started by TrainSim-Jay, Mar 7, 2018. How many freight services we will get in the NEC DLC? And will there be some shunting services or just drive from yard A to yard B services? Is there a chance to see NY&A locos? 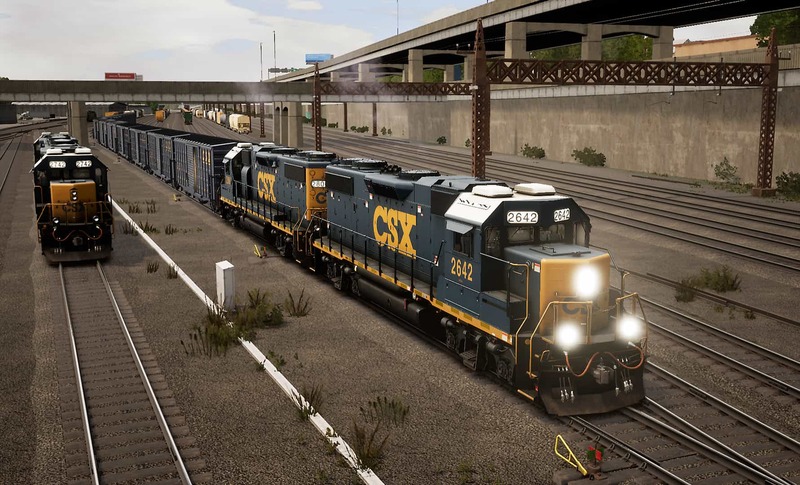 Not on initial release, we’ll only be seeing CSX for now. If DTG makes the Long Island Railroad, we’ll definitely be seeing some NY&A locos because they run down the LIRR many times. Let’s hope for some LIRR and NY&A soon! Of course, mentioned as future possibility. 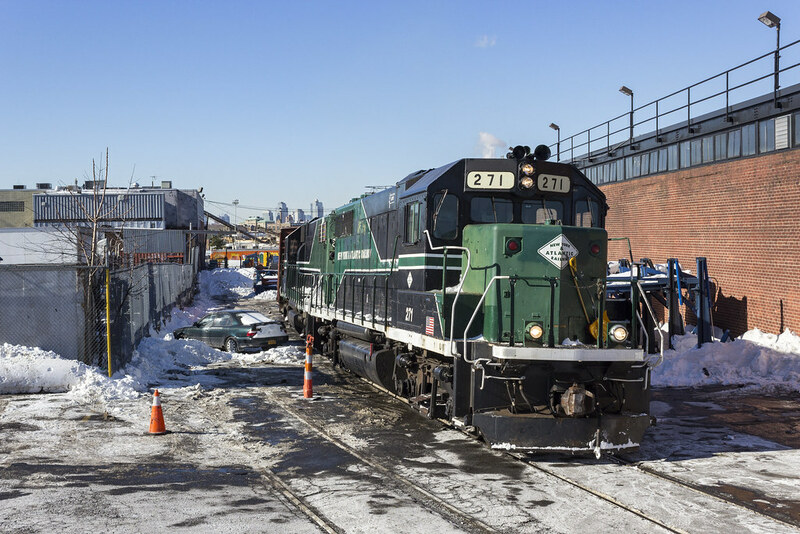 NY&A paint has better tune with new 85-foot-long open-deck flatcar with 20-foot-long containers. Thanks for taking my suggestion and removing the catenary on the Hell Gate freight track. What was mentioned? The LIRR and NY&A? Those 2 are on very high demand and I believe DTG knows this and I’m sure they’ll see how it literally kills 2 birds with one stone, meaning that we can get both the LIRR and NY&A at the same time! As you can see below the LIRR and NY&A are both wanted for future extensions so we’ll have to wait and see! I know, it’s unbelievable! Jay said that he would tell the devs to fix it and we know that, that was no use so I guess we’ll just have to wait until you can realease the proper NEC because with DTG, they’re always bound to get something wrong, which is fine we’re all human, but they choose to ignore it and not fix it rather then come back to fix their mistakes. Not sure what you are going on about....no wires are actually there. You assuming cActUsjUiCe was being sarcastic? Now, one issue that is still there is that there are still centenary supports on the main bridge structure instead of the bridge itself supporting the wires. And those railroad ties on the bridge seem to be concrete (but that's really dirty concrete, have you seen the real thing on the NEC? those are bright white!) instead of wood. And a lot of the other freight track, which should all have wood ties, also has concrete ties. My whole post #3 was mentioned as question about some of future Loco-DLC for this route. The route extensions-DLC has not been confirmed yet, but there is a good will to do so. If the LIRR is released, I have no doubt NY&A will follow with it or shortly after. I'm really eager to read this article, but can't find it -- link, please? P.S. Always look for the READ MORE hotlink, Jay posts whenever there is a new article. Also, when you come to the DTG live home page, you can click and read the article(s), from there. Thanks for the link & the tip. I can tell already that this DLC will make me even hungrier for scenario-writing capability in TSW. Awesome stuff. I know I'll be focusing mostly on the freight portion of this route as that is where my heart is. Thanks for the write up on this! Looking forward to see what is brought to the table when it's released and I'll always be looking to the horizon for new and exciting stuff. I'll be focusing mostly on the freight portion of this route as that is where my heart is. Same feeling to me! Hope that next north america freight DLC will be located at some industrial center with new loading/unloading facilities. I'll post my comments on this one photo for now because I'm in a bit of a rush. Some real photos of the area. The inaccuracy of the decoration is very obvious. Are in this new article discussion threads no questions answered from DTG like on the comments to the article on the old page? I liked the old way more..
"How many freight services we will get in the NEC DLC? And will there be some shunting services or just drive from yard A to yard B services?" And again silence from DTG... No answers to my questions, asked it three times since one week. What a useless official forum. It is true that it is annoying this silence. Looks like they do not care about problems. I think all the things DTG have said about problems producing a store video is a complete lie. They’re probably trying to get clips which don’t have any bugs visable, which is taking a long time to do, due to the severity of it. Assume this is coming to Xbox having said you'll be releasing future dlc on both versions for parity between the two? There are wood ties in the route. The Hell Hate Bridge needs wooden ties. TrainSim-Jay : so we won't get an information how many services (freight and passenger) are in the upcoming DLC? I think all Northeast Regionals will be included, well except for the one(s) with a baggage car. What's the point of having a forum, if there's no feedback from the devs? Even a simple, "we're looking into it" is better than silence. I'm sure there's someone collecting a Public Relations/Social Media salary, and afaik, they're not doing their job. The whole Dovetail and Steam forums seem pointless when the developers can’t even be bothered to respond. You’re lucky if you even get a reply and at the best they only come on the forums once a day, with most days them giving us the silent treatment. Also, on social media sites such as Facebook and Twitter, it’s blatant that they specifically choose to ignore our questions and queries as they only choose to respond and retweet to stuff that ‘looks good’ for them. During the livestream of the Xbox gameplay, people were asking questions regarding the sound problems and also lack of people on the trains and stations but as per we were getting the silent treatment and such questions were completely ignored. No wonder people have lost faith in the game and developers with the way they communicate with us. Still no reply? lol This should be on reddit and twitter as the company that doesn't care.